Horslyx Mint Balancer. What is it? 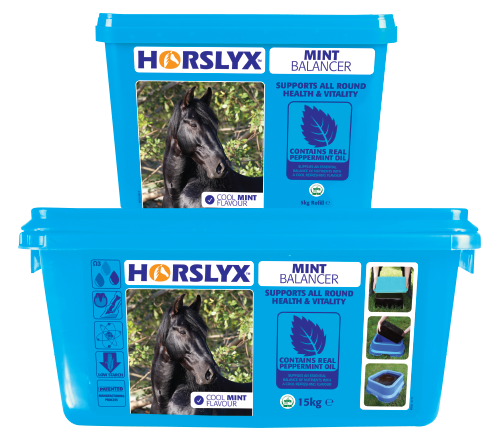 Horslyx Mint Balancer is a palatable, nutrient rich lick containing vitamins, minerals and trace elements to balance the deficiencies in forage and grazing with peppermint oil for a cool refreshing flavour. The flavour of real peppermint oil is loved by many horses, making it the ideal choice for fussy equines. As with all Horslyx Balancers, Horslyx Mint Balancer will promote a natural trickle feed pattern that allows the horse to self-regulate and consume Horslyx as and when he needs it. 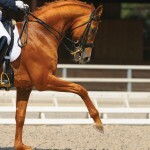 This leads to better digestion, less stress and a happier, healthier horse. What is in Horslyx Mint Balancer? Real Peppermint oil for a cool refreshing flavour. What isn’t in Horslyx Mint Balancer? Why should I feed Horslyx Mint Balancer? Horslyx Mint Balancer will balance any nutrient deficiencies in forage and grazing – helping to ensure your horse stays healthy and happy all year round. For a cool refreshing flavour making it the ideal choice for fussy equines. When fed at the recommended intake level for your horse, Horslyx Mint Balancer is cost effective and will save you money. There is no need to feed additional balancers and many horses and ponies thrive on a diet of just a Horslyx Balancer and forage. 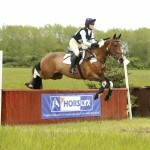 Harry is an 18 year old, Welsh Section B and is kept busy doing Pony Club activities, hacking and local shows. He lives out all year round and will put on weight easily if allowed, so doesn’t really need the calories of a hard feed, so restricted access to his favourite Horslyx Mint Balancer provides him all the vitamins and minerals he needs to keep in tip top condition. He accesses his Horslyx Mint Balancer daily while in the stable for grooming and tacking up. A 5kg tub of Horslyx Mint Balancer lasts Harry approximately 25 days and helps his owners ensure he receives a balance of vitamins and minerals to maintain condition, without surplus calories. 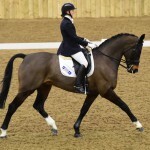 Charlie is a 15.1hh 9 year old Thoroughbred ex-racehorse who is turned out as much as possible, but stabled when required. He isn’t overly interested in food, so anything which tempts him to eat is useful. With the introduction of Horslyx Mint Balancer he can access the lick throughout the day, keeping his diet fully balanced ensuring his diet is fully balanced. He also has ad-lib haylage, alongside a morning and evening feed consisting of a flavoured Chopped Fibre Feed plus High Fibre Cubes. 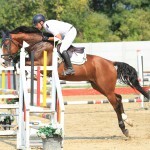 His 15kg Horslyx Mint Balancer lasts him around 60 days.